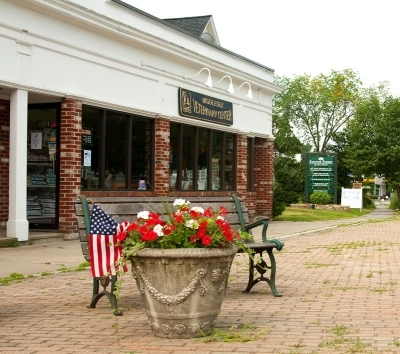 Middlesex Veterinary Center welcomes you to our website! Welcome to Middlesex Veterinary Center, where we have been providing high quality, compassionate pet care since 2001. Middlesex Veterinary Center is a full-service small animal veterinary hospital where we understand the special role your pet plays in your family. We are dedicated to becoming your partner in your pet's health care and it is our commitment to provide quality veterinary care and sound advice throughout the life of your pet. Our services and facilities are designed to assist in routine preventive care for young, healthy pets; early detection and treatment of disease as your pet ages; and complete medical, dental, and surgical care as necessary during his or her lifetime. We fully believe in the importance of preventive care in keeping your pets healthy; our job is not only to treat your pet when he or she isn't feeling well, but also to help you learn how to keep your best friend at their best! You will find that the veterinarians and staff at Middlesex Veterinary Center strive to provide warm, caring, and personal service to our patients and clients, providing the small, extra touches that help make a visit to the vet more pleasant and less stressful for all. We always treat your pet as we would our own! At this site, you will find information about our practice, our veterinary services, testimonials, helpful forms to assist you and an extensive Pet Medical Library for you to search for additional pet health care information. We hope you enjoy our website and find the information provided to be helpful. Please don't hesitate to contact us via phone or in person if we can provide you with any additional information. We look forward to helping you keep all your pets healthy and happy! Thank you for taking the time to read about our veterinary practice and the services we offer. We welcome your comments and suggestions. Please contact us at (978) 952-8500 for all your pet health care needs! PLEASE CLICK THIS LINK Pet Adoptions TO SEE OUR CURRENT ADOPTABLE PET PROFILES!